With its central location, Monte Claro offers easy access to many of La Manga Club’s world-class facilities. As a result, the luxury townhouse-style villas in this part of the resort are extremely popular, especially with families. One of the more recent developments, Monte Claro townhouses are designed in the Spanish style and built to the highest standards. Now available for 2018 in two, three and four bedroom options, each self-catering property is well-appointed and comes fully equipped with all the latest conveniences, including air conditioning. This beautiful townhouse features two en-suite bedrooms, wonderful gardens, free Wi-Fi and access to the 21 metre community pool. This is a gorgeous townhouse, featuring four bedrooms, one fully en suite, a large garage, stunning gardens, and access to the outside, free-form, community pool. One of La Manga Club Resorts stunning townhouses, featuring four bedrooms, including one fully en-suite, a garage, beautiful gardens free Wi-Fi and easy access to the free-form, community pool. This stunning townhouse, contains three bedrooms, all of which are en-suite, beautiful gardens, and access to the superb community pool. Monte Claro 29 is one of the stunning townhouses on La Manga Club Resort, featuring three bedrooms, all of which are en-suite with free Wi-Fi. 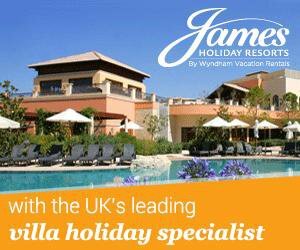 More La Manga Club accommodation* available at from £33 per night. The light and airy townhouses come with their own generously-sized sun terrace, with sun loungers and patio furniture, as well as a built-in barbecue for al fresco dining. All the villas in Monte Claro are built around a large communal swimming pool, with a shallow end for children. The pool, which is for the exclusive use of guests, is heated to a comfortable temperature throughout, and is set in beautifully landscaped gardens. Located in the heart of the resort, Monte Claro is a short distance from the club’s state-of-the-art tennis courts and academy, as well as many other sporting and leisure facilities, such as three championship golf courses, football academy, jogging trails, dance academy, and more. For this reason Monte Claro is especially popular with sporty holidaymakers who want to take full advantage of everything La Manga Club has to offer. When it’s time to enjoy some less strenuous activity, there are a great range of bars and restaurants to choose from; alternatively, you can stock up on local foods and delicacies from the nearby shops and supermarkets.